Very little reaches the public domain about how soldiers cope with the psychological trauma of what they have seen on active service – most news stories focus on the rehabilitation of those who have suffered physical injuries. 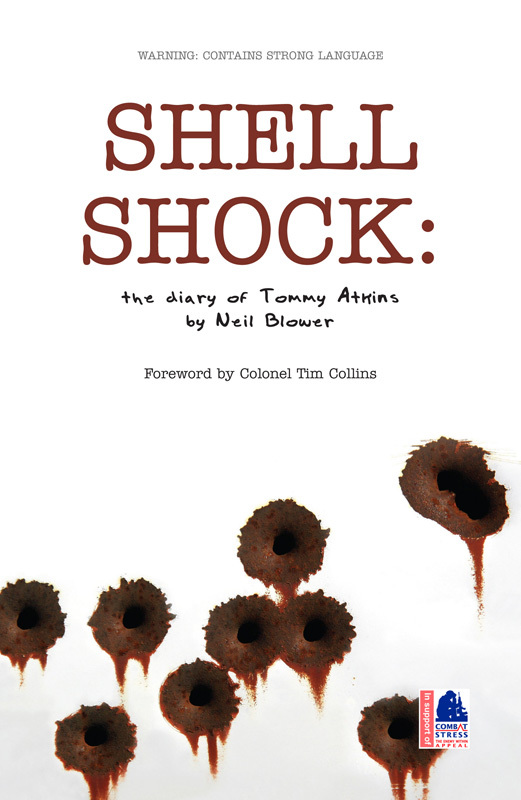 `Shell shock’ seeks to redress the balance by presenting the experience of one soldier who has recently returned to `Civvy Street’ and is suffering from PTSD (post traumatic stress disorder). Taking a `dear diary’ approach, the book chronicles his angry outbursts, depression and insomnia, and his struggles to return back to a `normal’ life. Part of the problem seems to be his unwillingness to admit anything he is not coping, blaming everyone else for everything that goes wrong. However it would have been interesting for the book to delve deeper into PTSD and explain the symptoms and treatment. The diary format is an effective way of showing the anger Tommy Atkins feels, however I think that if the book had been written as a novel this would have been more effective and allowed for further character development to help explain how his family and friends struggle to cope with Tommy’s mood swings and understand what he is going through. PTSD is certainly a misunderstood condition and in the main goes unreported; this book highlights the lack of support and understanding that ex-soldiers receive, so if it can help to raise the profile of charities such as Combat Stress then that can only be a good thing.